Three years ago, on Aug. 14, 2014, my daughter Samantha Coburn made the decision to take her life. Our lives were forever altered from this tragedy, but we have learned so much since then. We have learned the devastating effects of mental illness, the astronomical rate of teen suicide, the ridiculous lack of resources for those in need, and the ever present ebb and flow of grief. Although I would give anything to have my child back, I am honored that our foundation is growing and has helped others. Our goal is to prevent as many families as possible from going through the terrible pain we have had to endure. 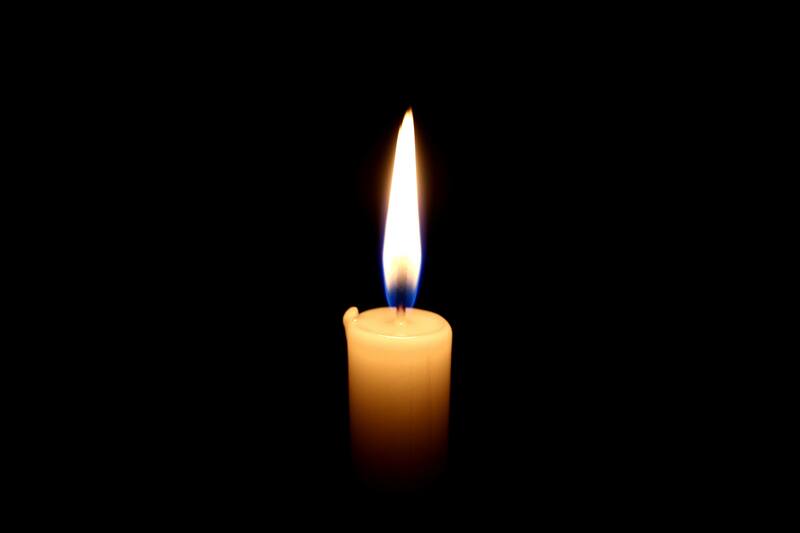 For those who are suffering in silence, I beg you to reach out to a trusted adult for help. For those who know someone who is suffering, I beg you to speak up on their behalf, and for those who have a child who is struggling, take them seriously and get them to the appropriate clinicians who can support them. Please visit our website for resources. Spread the Love Foundation is here to help. From our pain comes hope: hope for a better world for our children. 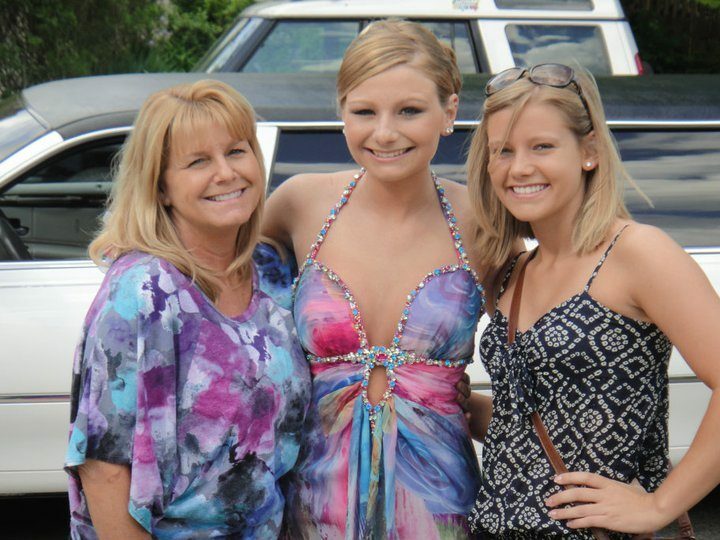 Sami attending her high school prom as a sophomore is pictured here with her mother, Carolyn (l) and sister Megan (r). Sadly, this was not the only post like this that I saw in 2016. In the years 2014 to 2016, Hamilton Township (Atlantic County) lost six students to suicide, including Sami. The epidemic that is suicide has taken over our state, and it needs to be stopped. In October 2016, Time magazine posted an article titled “Teen Depression and Anxiety: Why the Kids Are Not Alright” (bit.ly/kidsdepression). The article described an increase in anxiety, depression, substance use and suicidal ideation in teens. In the same month, New Jersey Monthly published an article describing how our kids need more outlets, relief and room for emotional intelligence, a trait often lost in a century laden with social media and stressful academic standards. 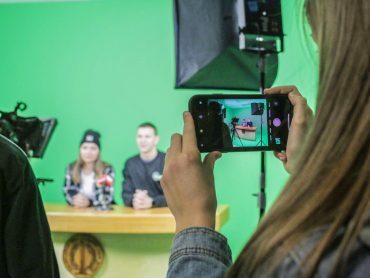 This trend is not unique to New Jersey—it is nationwide and more prevalent among teens than we think. Tragically, our current system of suicide awareness is not effective enough to stop it. That’s where the Spread the Love Foundation comes in. 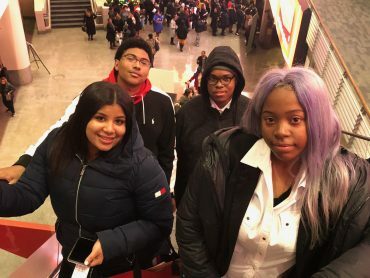 We strive to prevent teen suicide by educating students and adults on coping skills and the social and emotional intelligence necessary to living in the 21st century. When a children are diagnosed with cancer or diabetes, we do not tell them to “get over it,” say “it’s all in your head” or avoid their pediatricians because the “specialists are just out for money.” Instead, we treat their diseases, because we want our children to grow up to be healthy adults. Why do we so often address mental illnesses differently? Suicide isn’t more prevalent than most childhood diseases—it’s more prevalent than all childhood diseases combined. A child’s depression, anxiety and substance use, are not just a matter of growing up. We cannot assume that if we’ve been through it, they can get through it too. The truth is, they can’t—and aren’t—getting through it. According to the National Institute of Mental Health, suicide is the second leading cause of death at ages 10-24, one in five children suffer from mental illness, and two-thirds of all children go through some type of mental health crisis during their adolescence. These alarming statistics are just a handful of many showing the rise in mental illness in the 21st century. Carolyn Coburn of the Spread the Love Foundation knows these numbers all too well. After losing her daughter Sami to suicide, she created the foundation to honor and emulate the qualities Sami exhibited: kindness, generosity, selfless service, loyalty—all of the traits we want in our children. Her original goal was to let Sami’s legacy as an exceptional human being live on through character education, but it became something bigger after several more teen suicides occurred in her hometown of Mays Landing. Coburn’s essential nonprofit quickly became an avenue for raising awareness about suicide, addiction, and mental illness in our children, and to show the greater community that mental illness is killing our children at far greater rates than physical diseases. Since the foundation’s establishment in 2015, Spread the Love has conducted Suicide, Addiction, and Mental Illness (SAMI) Symposiums in public schools that bring the stigma of mental illness and taboo behind it to light. The foundation also educates the community on misconceptions about suicide. Because most school suicide trainings are not comprehensive, people often miss these signs. They may even mistake them for the normal ups and downs of adolescence. Coburn did. Now, looking back, she realizes that the signs were all too clear. Through SAMI Symposiums, she wants everyone to have the same education about these signs before it is too late. These symposiums, through their panel discussions, mental health screenings, and breakout sessions, have spread awareness throughout Atlantic County and saved the lives of many students who had suicidal thoughts by getting them the help they need just by asking questions. 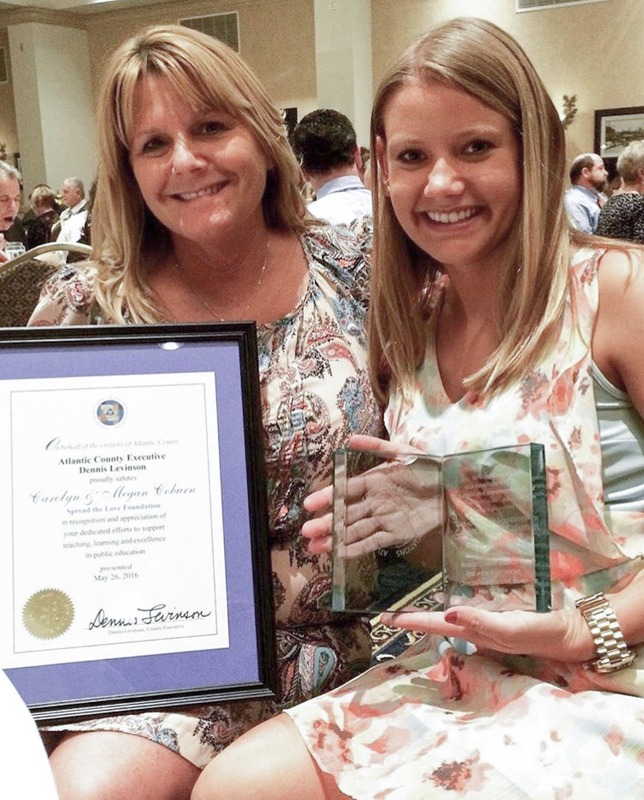 Carolyn and Megan Coburn receive the 2016 Mental Health Association Anchor Award. A key feature of Spread the Love’s programming is its relationship with Mental Health Partnerships in Galloway. Through this partnership, the foundation has brought Mental Health First Aid (MHFA) training to the South Jersey region. MHFA was established to help lay persons identify a child’s or teenager’s severity of mental illness issues and direct them to the appropriate resources. This training does not make the person an expert in mental health, just as being trained in CPR doesn’t make someone a medical expert. Rather, it helps those trained see some behaviors as more serious than typical child or adolescent conduct and identifies where to find help. It is Spread the Love Foundation’s hope that MHFA training will replace the two-hour webinar suicide training currently required in New Jersey. Although the standard suicide training helps identify the signs of suicide, most youth hide these signs from adults. They don’t want to be a burden to their family or parents, and they feel like the world would be better off without them. They also feel so ashamed of their feelings that they’ll mask their pain with humor, fantastic social media pictures, and success—all things that look amazing to adults, but might be veils for sadness and anxiety. That’s not to say all successful children have mental health issues. But from the perspective of the Spread the Love Foundation, “compliant” suicide training is just that: compliant. It assumes that only a small number of our students suffer from mental health issues, and that our children will send loud and clear signals when they are suffering. In fact, it takes an average of eight years from onset of symptoms until most children get the help they need. This trend toward awareness needs to continue in New Jersey. Because of Spread the Love Foundation hosting over 10 trainings in Atlantic county, dozens of children have been screened for mental health issues, many children have been directed to the help they need and over 60 teachers have been trained. · Recognize the symptoms of common mental illnesses and substance use disorders. · De-escalate crisis situations safely. · Initiate timely referral to mental health and substance abuse resources available in the community. · Ensure a positive rapport between student and staff, between staff and parent, and between staff and administration. MFHA training helps get our children the resources they need to not just coast through childhood, but thrive. Schools and school staff are the first point of contact for our children throughout the day and school year. This training will allow adults to help our children find help faster, rather than getting lost in the shuffle. Let’s work together to make the kids all right, to honor and emulate the life Sami led, and to show our children their lives truly matter. To learn more about the Spread the Love Foundation and its programs and resources, visit www.spreadthelovefoundation.com. 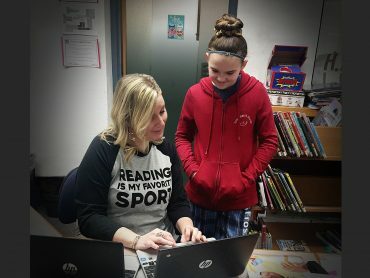 Mandi Dorrell serves on the board of the Spread the Love Foundation and is a librarian at Pine Hill Middle School in Camden County. She is a National Mental Health First Aid trainer. Dorrell is also an adjunct professor at Rowan University where she teaches writing. She is a building rep for the Pine Hill Education Association. Dorrell can be reached at mandi.spreadthelove@gmail.com. • Suicide is the second leading cause of death at ages 10-24. • The average number of years between a mental health diagnosis and the onset of symptoms is eight years. • The median onset for an anxiety disorder is age seven. • National Suicide Hotline 1-800-273-8255. • Your school guidance counselor, local police department, emergency room. • Any teacher, bus driver, coach. • Drastic, long-term decrease in mood or desire to participate in daily activities. • Drastic increase in mood disorders. • Withdrawing from friends and family.